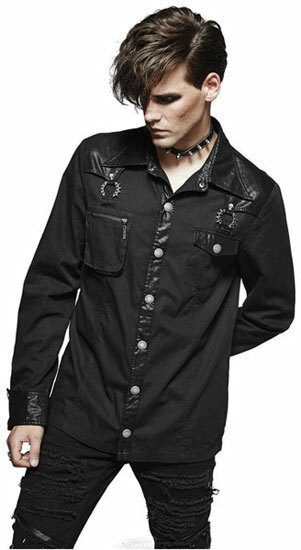 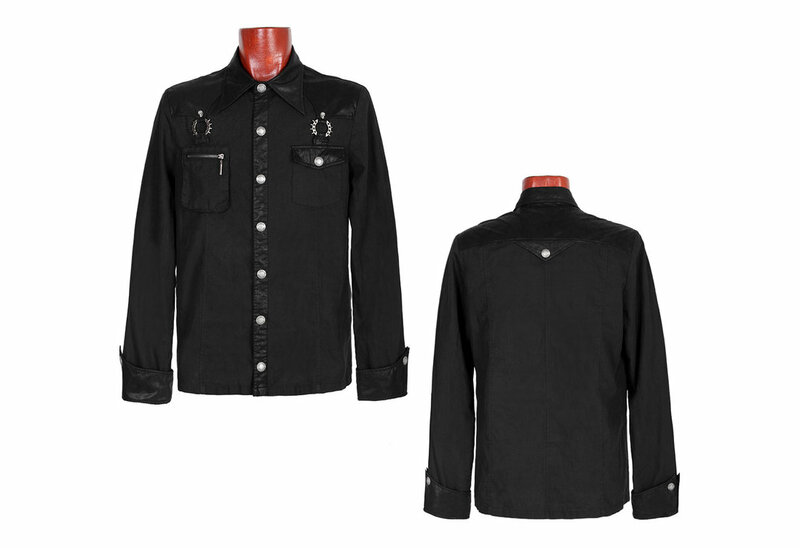 Men's gothic button up shirt with two asymmetrical front pockets, spiked metal rings with skull rivets. 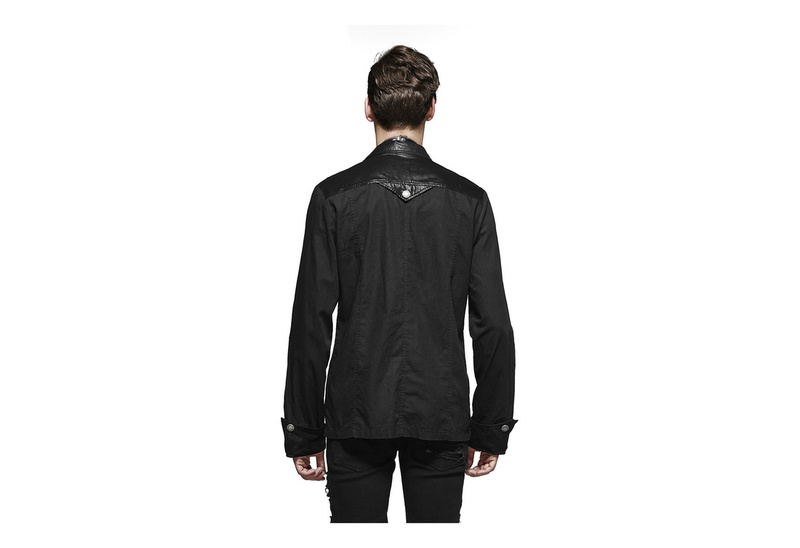 There is on zipper pocket and one button pocket on the front. 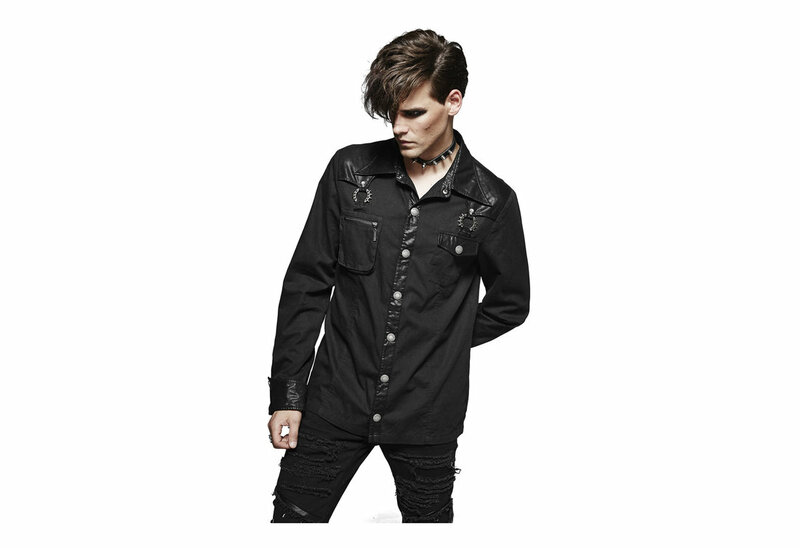 The denim bamboo fabric is spliced with faux leather.